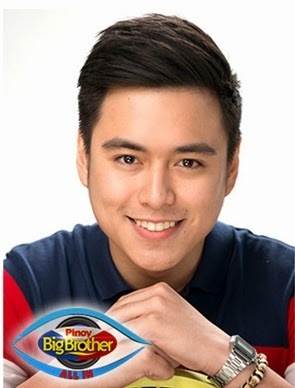 Manila, Philippines - Jacob Benedicto dubbed as the 'Cutie Crooner ng Paranaque' became the third housemate to be evicted from Pinoy Big Brother (PBB) All In. Jacob Benedicto received the lowest number of votes among the nominees. He only got 16.59%. Jacob was nominated for eviction as the housemates said he is competitive and tends to strategize especially when it is time for nomination. The two other housemates who were saved from eviction were 'Rising Celebriteen ng Pasig' Jane Oineza (30.20%) and the 'Singing Sunshine ng Davao' Maris Racal (53.19%). Before the much-awaited announcement, nominated housemates Jacob, Jane and Maris performed John Denver's popularized 'Leaving on a Jet Plane', a song they dedicated to themselves. In the live episode on Saturday, the housemates were tasked to do a debate, but this time through a rap battle. Big Brother also announced that the housemates were successful on their weekly task called 'Lapislide'. Initially, the housemates failed to complete the task, but was given by Big Brother a second chance to get the 50% of the weekly budget. They need to shoot a ball to the ring using the pencil towers they built; they were successful. The 3rd eviction night of PBB once again dominated online conversations with '‪#‎PBB3rdEviction‬', 'Spell Pencil', 'Rap Battle', 'Team Alex', 'Jetplane' and 'Goodbye Jacob' topped Twitter trending list.